The Adventskalender is a means to count down the days to Christmas, beginning on the 1st of December and culminating on the 24th, the eve of the birth of Christ. The custom of doing so dates back to the early 19th century, when German Lutherans marked the passing days with chalk lines on the door or lighting a small candle each day. The 24th being the day in Germany when gifts are received, the children's anticipation and excitement grows with every day. The simple Adventskalender of the Lutherans quickly took on more elaborate forms and the first handmade Kalender dates from 1851. It was made from a sheet of cardboard on which 24 little pictures and the numbers from 1 to 24 were affixed. In 1908, Gerhard Lang, a printer from Munich, invented the more sophisticated Adventskalender by taking two sheets of cardboard, putting one on top of the other and cutting little doors into the cover sheet which could be opened, revealing the picture behind it. 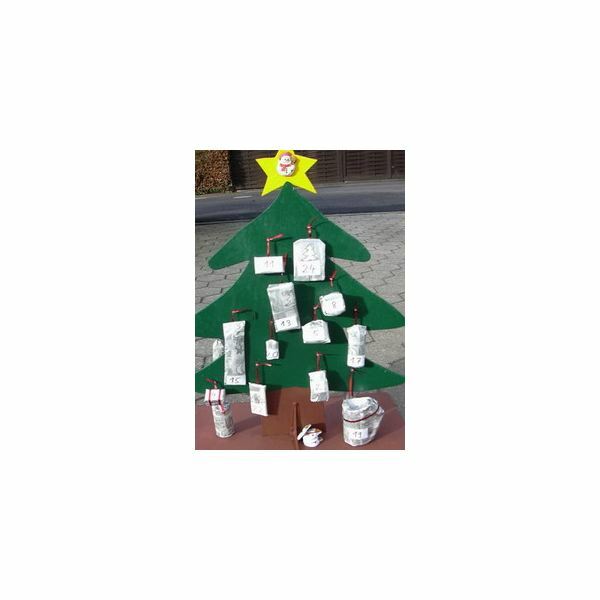 Over time, the Adventskalender took on new forms and designs, the doors now being filled with treats, sweets and even small gifts. Trade in Adventskalenders is big business and there exists even one which holds a piece of jewelery for each day. Simple or expensive, the children's anticipation at opening a new door each day remains just the same. 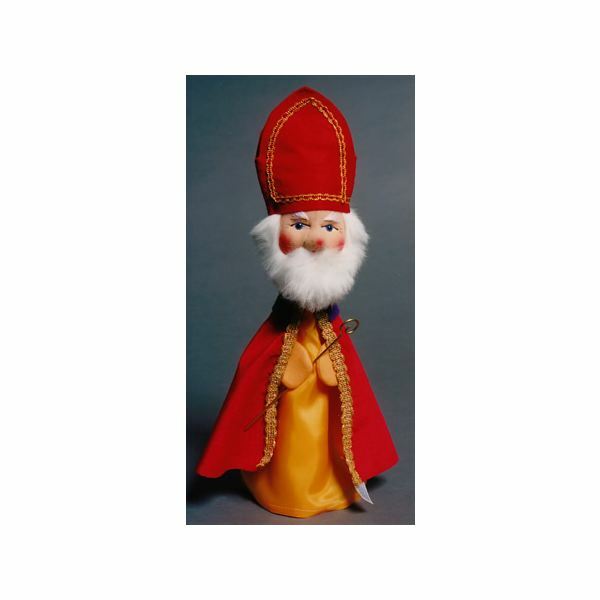 St. Nikolaus (Nicholas) was a bishop in Myra, which today is Turkey, who died on the 6th of December 345. Although the date of his death is known, not many actual facts about his life have survived the centuries. Legends, however, abound. He was a benefactor and miracle worker and became the Patron Saint of sailors, scholars, merchants and children. One legend reports that he resurrected three cruelly murdered young men and brought the murderer to justice. Another tells how he secretly gave gold coins to a poor man so he could give a dowry to his three daughters, who otherwise would have been forced to earn their keep as prostitutes. The 6th of December is an exciting day for German children, as Sankt Nikolaus passes by in the night and drops gifts for the good children. He has a big book in which the names of all the children are noted, together with their good and bad deeds during the year. All children (and adults as well for that matter) put their polished shoes outside their door in that night and find sweet treats and small gifts in the morning if they have been good. If they have been bad, they might find a piece of coal or even a "Rute", a hazelnut switch, instead. Although known and enjoyed in many countries, German Marzipan, particularly the product manufactured in the Northern German town of Lübeck, is famous world-wide. Marzipan is a sweet which consists of finely ground almonds and sugar with the addition of 4 to 6 percent of bitter almonds, which give it its very special flavor. Sometimes rosewater is added, sometimes tiny pieces of pineapple, but the correct mixture is a tightly guarded trade secret. Marzipan comes in many forms, traditionally in German as "Marzipanbrot" which is a small piece shaped like a loaf of bread or "Marzipankugeln" which are small balls, dusted with cocoa powder. 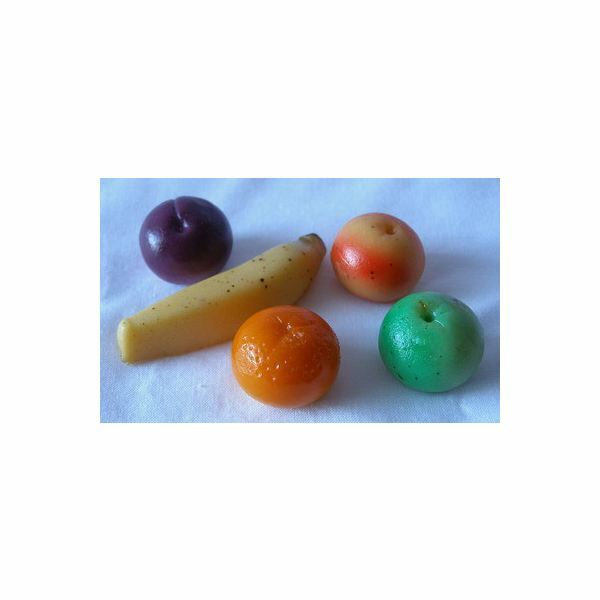 Often Marzipan is formed like fruit and brightly painted. In whichever shape or form, Marzipan is a must for German children at Christmas time, either behind the doors of the Adventskalender, in their shoes on the 6th of December or on their "Bunte Teller" under the Christmas tree.